This is truly the beast from the east. We love it and compare it to the hammer of the gods. 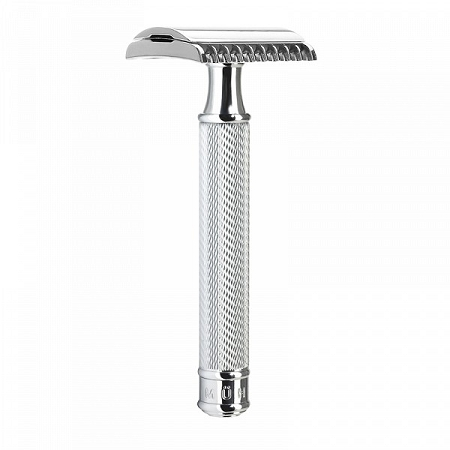 This is the heaviest safety razor on the site weighing in at 150g. You could hammer nails into dry rock all day and when you came home it would still shoot straight everytime. 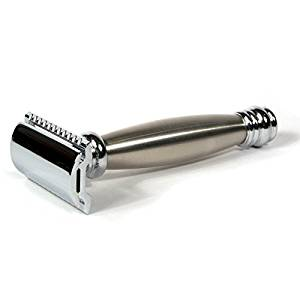 This Stainless steel razor is very exciting, as it would lead you to believe it was a 2 piece razor. No say I! For there is a steel rod through the hollow core of the handle, which tightens the head and secures the blade. An ingenius design for this middle aggressive razor. That is for reference a closer shave than any Muhle head like the R89. 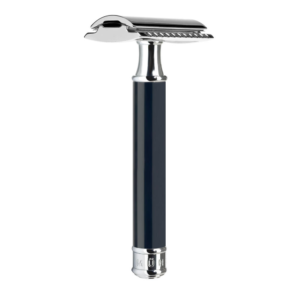 This handle is eliptical for added grip on this elegantly crafted German razor. 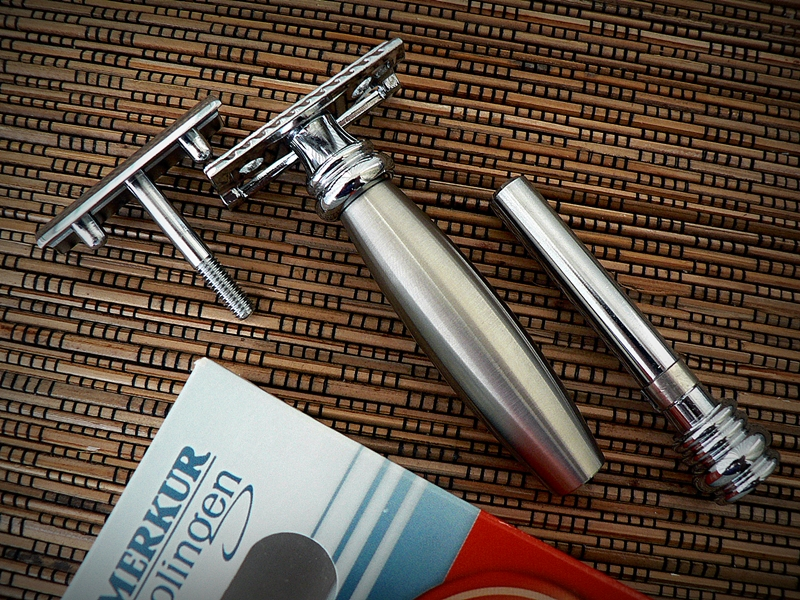 Merkur being a vintage shaving company. Have been making excellent razors since the beginning of last century and the Merkur 34 c safety razor shows this. Science vs knowledge divided by Edward’s logic, makes this a great razor. At 100ml of swedish steel, this hand machined piece of equiptment is big and weighty. Creating more of a solid shave, slightly slower yes. But the strokes provided will plough through even supermans five oclock shadow. Also this great razor is good for the longer bearded irregular wet shaver. The attention to detail is just great, we love the inscription of the wonderful Muhle logo on it’s hilt. We always recommend small strokes for anyone new to DE shaving, and maybe a stiffer blade to the novice or experienced. 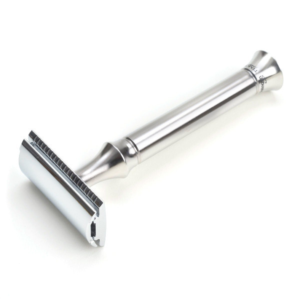 The Merkur 34 c safety razor is an exciting product of ours Indeed. I for one can’t wait to get my hands on one for my personal collection. 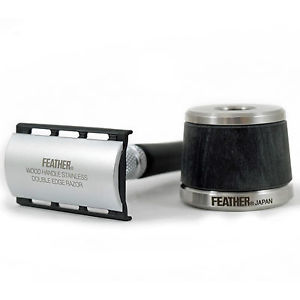 This is exceptionally well priced for it’s quality of build and materials, making an all round brilliant shaving device. Which is so traditional in design and feel.